« Faux Pas Friday: Beware the Bise! Sion, I know what you mean about too sweet. My palette is becoming less and less able to enjoy really sweet things. However,I don’t think that would prevent me from taking a bath in some of that warm chocolate! And congratulations on the telephone interview. I haven’t got the gots yet! Yeah, it was a very weird experience. I usually love sweet things, but it was actually…(gasp!) too sweet in a way. What’s happening to me? There are “soins au chocolat” if you’re interested. Personally I don’t think chocolate is for swimming in, but I suppose it’s worth a try. 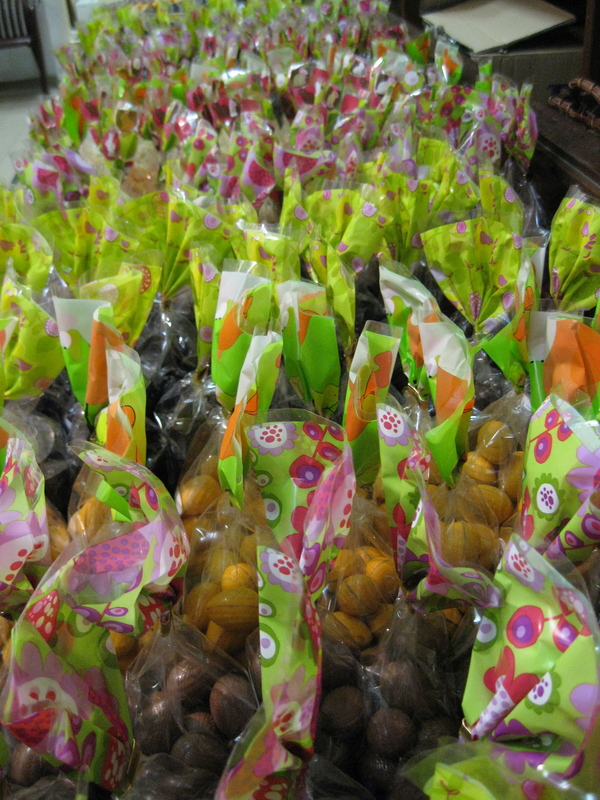 Mmm…when I was in high school, I literally worked in a chocolate factory/retail store in my home town. You could eat whatever you wanted while there. So chocolate was my dinner. Surprisingly, I lost weight working there!! I was never hungry for dinner when I got home and I felt guilty and exercised instead. Very worth it! And yes, I can smell it now. I always smelled of chocolate. Love your ‘don’t be fooled!’ line! Your sarcasm makes me grin! “On Saturday Jerome checked out the “No Sarkosy Day” protest. 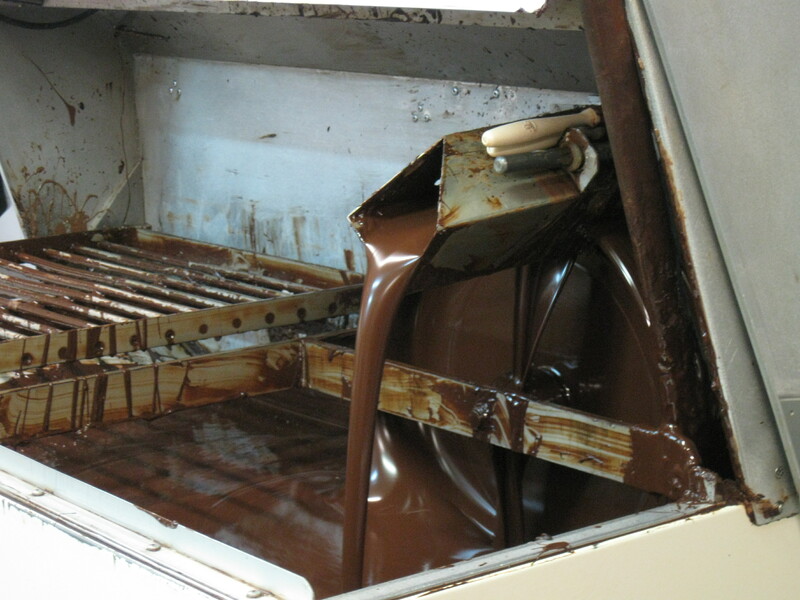 I went on a chocolate factory tour. Not that I wasn’t interested in experiencing both, but sometimes you have to set your priorities.” LOL. No kidding. I’m pretty sure if I had a choice, I know which one *I* would have picked, too! Haha! What a wonderful experience this was, Sion. I’m proud of you, too, for getting out and about, and also doing the follow-up phone interview in French. 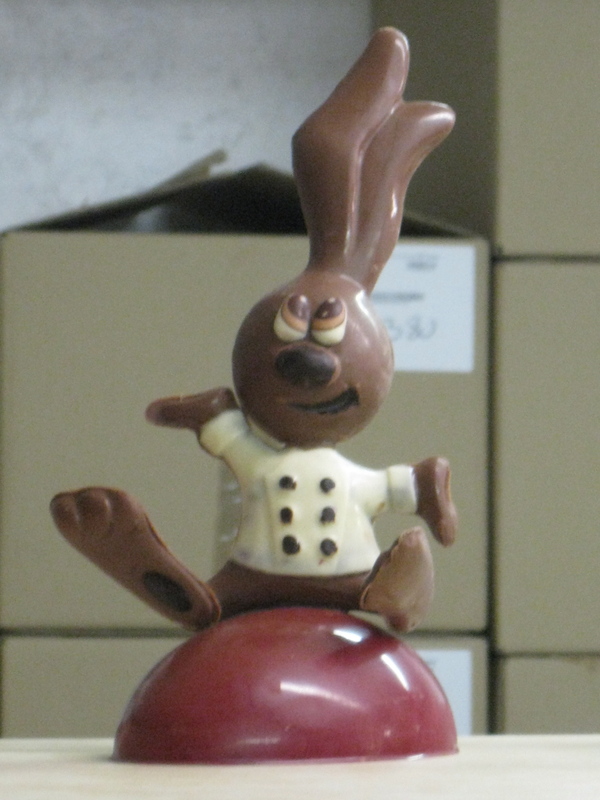 can you believe that despite living in Zurich I have never toured the Lindt factory? Mostly for fear that I’d end up chaining myself to a machine ’cause I didn’t want to leave and start raving like a lunatic about how I was just meant to live there. Chocolate will do that to ya.